The contemporary Hollywood family film, which accommodates an apparently limitless range of genres such as action-adventure, fantasy, sci-fi and even horror, has become synonymous with record-breaking profits, with risk-averse studio heads, executives and producers eager to exploit the positive associations of the family brand for its power to efface age, gender, class, ethnic and cultural differences. But in The Hollywood Family Film: From Shirley Temple to Harry Potter, UK film researcher Noel Brown shows how this wasn’t always so, and how Hollywood’s dream of a truly cross-generational, trans-demographic and trans-cultural form of mass entertainment seemed elusive – indeed, before George Lucas’ Star Wars (1977), there was a time when a film labelled ‘family’ was more box office curse than gold. Yet Brown rejects (and with good reason) the claim that the family film is a recent, Reaganite phenomenon. This is a most entertaining Hollywood story – until now largely untold – and Brown sets out to redress what he sees as an unacceptable oversight in current film scholarship: “Bluntly, as a subject for historical, critical and theoretical analysis the family film has been woefully under-addressed. Indeed, it must surely constitute the most neglected of all the major Hollywood modes of production” (9). That such a mode has been critically marginalised, even maligned, for its unashamedly commercial considerations, as mere entertainment for ‘the masses’, has, Brown notes, seriously hindered critical inquiry. No doubt the challenge in a history of this kind is what to leave in and what to leave out and Brown does a laudable job of balancing breadth with depth. While this is careful, scholarly, groundbreaking research, I have some slight reservations about the author’s critical modus operandi. Brown chronologically charts the family film’s emergence in the 1930s, where concerns about the so-called objectionable content of the recently-arrived talkies led Hollywood to reaffirm its position as a reputable ‘family’ institution by adopting the self-regulatory Production Code; the humble beginnings of Walt Disney and feature animation, which Brown asserts did not exert a major influence on the development of the family film; the emergence of a middlebrow family film which in the 1940s was typified by the popular Jones and Andy Hardy series, animal-themed films such as My Friend Flicka (1943) and National Velvet (1945), and more satirical family comedies of the early 1950s; the decline in popularity of this generic format from the late 1950s onwards which Brown links to Hollywood’s slowness to exploit the shift from an adult- to more youth-orientated market, as well as rise of television as a medium which, in sitcoms like I Love Lucy (1951-7) and Father Knows Best (1954-60), effectively corned the family market; the influence of independent family practitioners like sci-fi/fantasy specialist George Pal, stop-motion animator Ray Harryhausen and largely forgotten maverick producer Robert B. Radnitz; and of course the format’s spectacular and ‘unforeseen’ resurgence in the late 1970s and beyond as Hollywood’s most lucrative, valued brand in the domestic and global arena. We all seem to recognise a family film when we see one but Brown notes at the outset the problems of definition, where “the generic identity of the family film is extremely fragmented” (5). In critiquing hardline generic approaches out of the line of fire, Brown argues, rightly, that the family film is “perhaps better understood as a master-genre, within which a broad, formally diverse range of sub-genres operate, while still satisfying certain structural, ideological and emotive expectations popularly associated with family entertainment” (11). But Brown is, by his own admission, not so much concerned with textual as non-textual manufacturing processes that give Hollywood family films their generic identity. He proposes the following processes/factors: (1) marketing and distribution strategies; (2) rating/classification; (3) critical response; (4) merchandising; and (5) television broadcast strategies. Later, Brown concludes that the “most significant changes that have elevated family films above other entertainment formats have been social and industrial, rather than textual” (218). As befits a mode of Hollywood production obsessed with its own blockbuster hyperbole and rhetoric, the thrust of Brown’s critical approach is to focus on the hits rather than misses. Indeed, there is a great deal of emphasis on ‘family firsts’. I don’t think Brown exaggerates when he states that: “Star Wars, in retrospect, can be seen as the movie that reintegrated the teenage graphic into the so-called ‘mass audience’” (154); or that Close Encounters of the Third Kind (1977), along with Star Wars, “were perhaps the first ‘kidult’-inflected mainstream products of the ‘New Hollywood’” (156), that is, products whose mode of audience address was “undifferentiated” rather than geared to multiple levels of appeal; or that E.T. : The Extraterrestrial (1982) is perhaps “the archetypal family film of the ‘New Hollywood’” (171). However, in concentrating on family films that have had the most commercial, industrial and social impact, Brown tends to give short shrift to those whose impact wasn’t immediate or extraordinary. Thus The Wizard of Oz, for many the archetypal family film, is not discussed in depth, in so far as “the adoration this film has received over the years risks ahistoricising the conditions of production and process, for it was neither a critical nor commercial success” (63). But it is precisely the belated nature of this adoration, a film which found its family audience through television re-reruns, that is so interesting from the point of view of audience reception and I suspect that some of Brown’s more general readers might be disappointed that he doesn’t address this further (especially if they’ve come to expect more from the appealingly gaudy cover, which features a still from the film). Likewise, Willy Wonka and the Chocolate Factory (1971), which was conceived expressly to fill the void in family films during the early 1970s, is mentioned only in passing. Like the classic MGM film, Willy Wonka found a belated audience through network and cable television, where it was often shown around Christmas and Thanksgiving time. Tellingly, when Willy Wonka opened to a lacklustre critical and commercial reception, it was compared with The Wizard of Oz, which by then had assumed a culturally significant place in the canon of family films. Again, some readers might be disappointed by Brown’s selection criteria for the films he discusses. At the same time, Brown addresses the big misses like The Black Hole (1979), Disney’s earnest attempt to cash in on the success of Star Wars and the studio’s first PG-rated film; and Flash Gordon (1980), Dino De Laurentiis’ ill-conceived, high-camp treatment of the comic-book strip which was “one of the most significant flops of the period” (160). But where, oh where, is Annie (1982)? Brown rather summarily dismisses The Black Hole as an artistic and commercial failure which he deems “does not possess the ‘kidult’ elements required for mass-audience appeal” (159). He writes that the film was “Hindered by poor reviews” (160), though it did earn qualified praise from noted critics such as Richard Schickel and Janet Maslin. Along with the technically innovative Tron (1982) and unusually dark Something Wicked This Way Comes (1983), two other Disney films mentioned by Brown only in passing, The Black Hole surely stands as one of the studio’s most artistically interesting – and risky -“failures.” Significantly, these films were produced at a time when Disney was struggling to regain its hold on the family audience. But the fact that Tron recently generated a bone fide blockbuster sequel, almost thirty years after the fact, while The Black Hole has been slated for a remake, further suggests that this period in Disney’s legacy wasn’t completely misbegotten. If Brown’s critical barometer seems more calibrated to commercial rather than artistic considerations, it is when he engages in textual analysis of the films themselves that this translates most clearly into artistic appreciation. Examples include his particularly insightful readings of Close Encounters and E.T., where he riffs on largely pejorative comments made by the late critic Robin Wood (whom he rather belatedly mentions) on the “regressive” or infantilist tendencies of 1980s Hollywood cinema. Compared with the easy thrills of Star Wars, Brown argues that Close Encounters “is more nuanced in its modes of emotional manipulation” (155). And he defends the sensorial and emotional pleasures that a film like E.T provides, which are far from unsophisticated and mindless, as Wood and others would have it. By the end, Brown seems overly committed to upholding the commercial values and imperatives of Hollywood over and above artistic values. Yet one finds intriguing moments of ambivalence on the part of the author, which perhaps suggest a different spin on the family film and mass audiences. While Brown is no Peter Biskind lamenting the golden age of 1970s cinema, before Lucas and Spielberg ‘ruined’ the New Hollywood with their ‘regressive’ family pictures, he concedes that “the fact that the ‘family’ market exerts such attraction to well-respected ‘auteur’ filmmakers such as Martin Scorsese, Tim Burton and Wes Anderson perhaps reflects the parallel decline of mature, adult-oriented filmmaking in mainstream Hollywood” (207). Mmm. Such glibness raises more questions than it answers. The emergence of a family market is not only tied to changing industrial practices and processes such as marketing and distribution, but changes in the nature of mass audiences. As Brown explains, there has been a levelling in cultural taste, less stratified now than in the past. If Brown implies certain “limitations” in these mass audiences, like when he describes Star Wars as “intellectually undemanding – an important quality for a film targeting mass audiences” (153), this never develops into a mass cultural critique and for Brown this is perhaps beside the point. 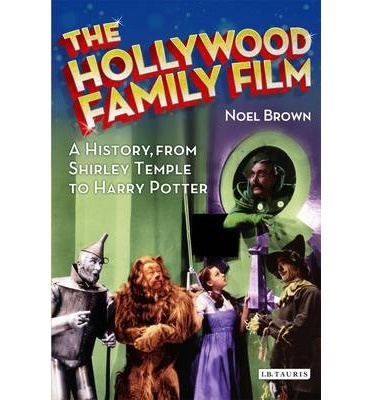 As the first full-length study of a major mode of production which now accounts for the lion’s share of Hollywood profits, Noel Brown’s book fills an important gap in film history and scholarship. His extensive filmography, along with research materials, which range from contemporary reviews in trade papers and newspapers to news reports, behind-the-scenes info, academic criticism and history, attest to the depth and scope of his research. The book is extremely well-written and well-organised, with helpful subheadings. But the index, mostly confined to film titles, filmmakers and actors, could be more comprehensive (I could find no entry for ‘Wood, Robin’). As well, more subject entries would be helpful to the scholar. Despite minor criticisms which I outline above, I highly recommend this book to both an academic readership and a more general readership with a serious interest in popular film.